WLBK on-air personality T.D. 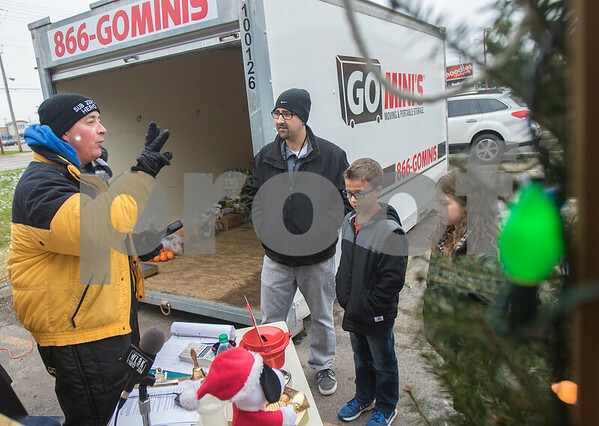 Ryan (left) talks to Brooks Elementary fourth grade teacher Ryan Grant, and students Ethan Royer (right center), 10, and Mackenzie Condon (right), 9, at the Freezin' For Food drop off site in front of Aldi in DeKalb on Thursday, Dec. 3, 2015. It was the first year Brooks Elementary participated and they collected 473 pounds of food.